Finally, we come to the latest full-scale professional production of Tamburlaine, one that I saw three times and that, in my opinion, must rank as the most important since Guthrie’s productions and, perhaps, since Marlowe’s own time. 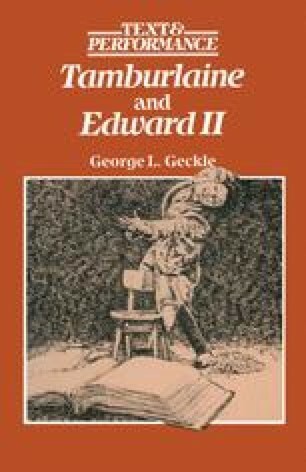 It is the one that is certainly closest in concept to Marlowe’s two parts as they have come down to us in printed form. And, although there were cuts in both parts (392 lines, or 17 per cent, of Part I and 641 lines, or 28 per cent, of Part II) and some rearrangement of scenes in Part II, Peter Hall’s production at the National Theatre (sixteen performances between 4 October 1976 and 13 January 1977) was probably a fuller version of Tamburlaine than has been performed since Marlowe’s day.